Loft has to be one of my favourite stores at my local mall. The clothing is always work appropriate while being right on trend. The price point is reasonable and it is always exciting to see what's new in the store. Loft's holiday collection does not disappoint so today I am showing you a few of my faves from the collection. I chose this fantastic camel wool coat and gorgeous floral printed dress. Sometimes I find that the camel tone is not as flattering for my skin tone, but this coat has a bit of a rose-y shade to it so it's very flattering. As always with Loft the clothing is very comfortable and easy to wear. Read on to see my other holiday faves. The cool tones in this floral dress make it perfect for Fall and Winter, you can wear this with a blazer to dress it up, or a long cardigan to dress it for work. 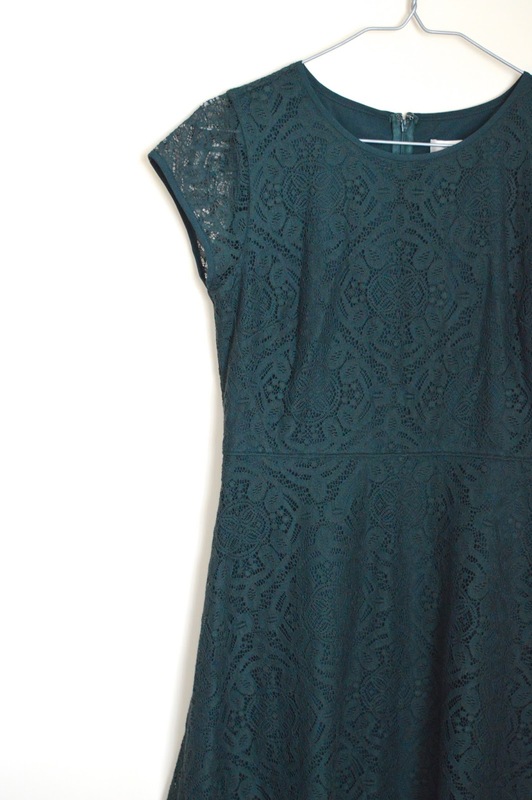 Lace flare dresses are everywhere this season, and this one in green is fantastic. It is lined inside which give extra coverage and as always with Loft the fit is impeccable. This simple white utility blouse is perfect for layering and has a box-ier fit so if you are worried about buttons pulling across your chest area this is blouse for you. It is lovely on and has a hint of texture that adds visual interest. 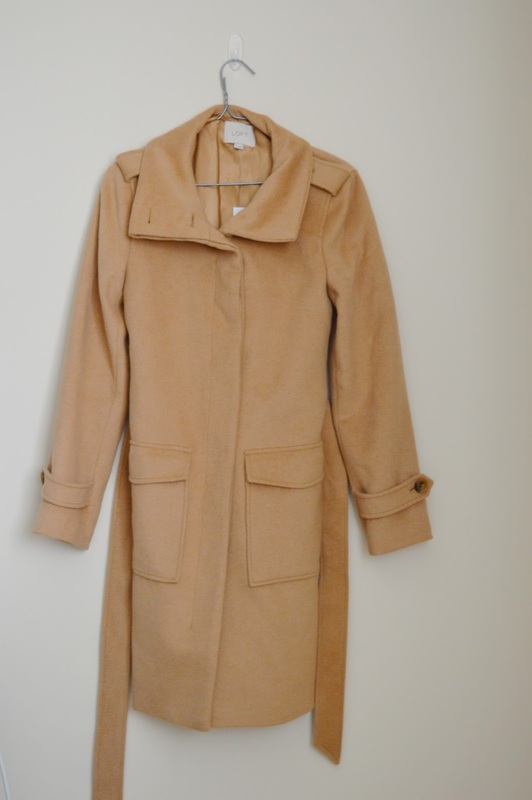 This camel coat is a must have, it comes in three colours and the fit is perfection. This is my must-have pic!